There are a variety of issues/questions that arise during a divorce proceeding such as what do we do with the house, how do we split our retirement accounts and/or do I have to pay alimony. 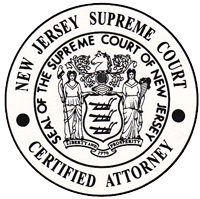 This is only a glimpse into what it takes to finalize a divorce in the State of New Jersey. While financial decisions can be bargained/resolved amongst the parties, the more difficult ones are the decisions dealing with children. Both parents want to incorporate a parenting time schedule that allows their children to live a normal life, but also permits each parent the ability to spend quality time with their children. A parenting time schedule balances the children’s best interest, the parties work schedule and factors in the distance between where the parents reside. Major issues arise when one parent wants to relocate outside of the State of New Jersey with their children and the other parent objects. 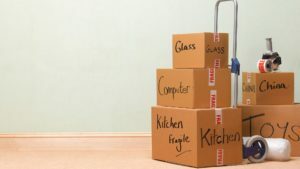 Without the consent of the non-relocating parenting, the parent who seeks to move must obtain court approval. The New Jersey Supreme Court has recently over-tuned a sixteen (16) year precedent that has been the standard to determine whether a custodial parent can relocate children to another state over the objections of the other parent. Bisbing involved a divorced couple who were married in 2005 and divorced in 2014. Two (2) daughters were born of the marriage and as part of the Marital Settlement Agreement (MSA) the Wife was to be the custodial parent with the husband enjoying considerable parenting time. The MSA further stated that the children would not be relocated if one parent objected. The parties followed the terms of the MSA until the wife advised that she was going to marry another man who lived in Utah and that she would relocate the parties’ children to Utah. The trial judge, citing Baures, granted the wife’s removal application. The Appellate Division vacated the trial judge’s ruling in part, suggesting that the wife may have entered into the MSA in bad faith as she had been dating the man from Utah before her divorce was final. The Supreme Court in Bisbing directs trial judges to now determine whether relocation would be in the ‘best interests’ of the children involved. The NJ Supreme Court stated that there was a justified departure from the prior precedent and that the NJ custody statute clearly envisions that a custody arrangement will serve a paramount purpose – the promotion of a child’s best’s interests. Bisbing is landmark decision that will impact all removal matters in the State of New Jersey. The attorneys at Gale & Laughlin are here to answer all of your matrimonial questions and advise you as to what your rights are. Contact us today with any questions you may have.